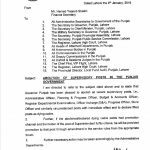 Government of the Punjab Finance Department has issued Notification No. 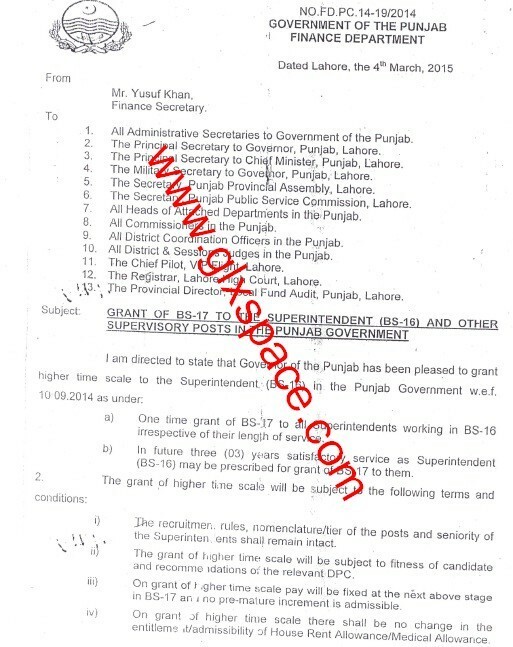 FD.PC.14-19/2014 dated 04-03-2015 in connection with Grant of BPS-17 to Superintendents and Other Supervisory Staff in Punjab. 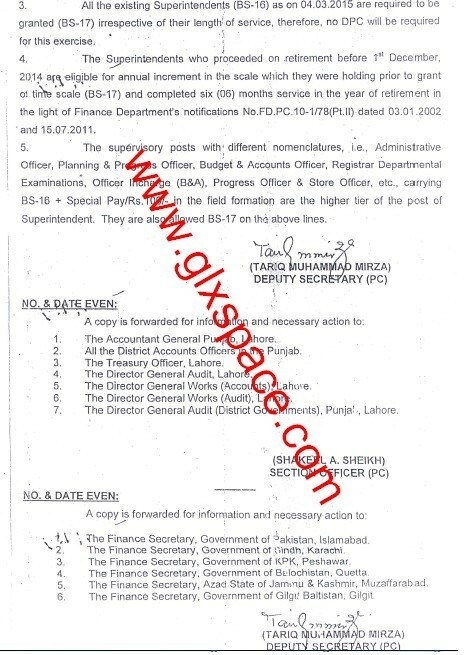 The Superintendents (BPS-16) in Punjab Govt have been granted BPS-17 with effect from 10th September 2014. 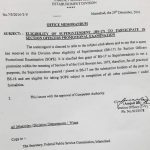 In future three years service is required to be granted BPS-17 to the future superentendents. Special thanks to Mr. Shafiq Ahmad & Mr. Atiq Khan for sending the copy of the Notification of Grant of BPS-17 to Superintendents and Other Supervisory Staff in Punjab. 1- Is DPC is necessary for the Incumbents of the upgraded post. what will be the procedure for the up gradation of incumbents. 2. If the Initiating Authority of ACR is biased than what is the procedure to complete the ACRs? Let me know Administrative Officers working in BPS-17 or post of Administrative Officer upgraded from BPS-16 to BPS-17 at Government of Sindh level. Dear madam is notification k teht upgrade Hony Waly superintendents ky medical or house rents bs-17 ki bjaiy bs- 16 k hi thy or WO sirf basic bs-17 ki lay rahy thay. 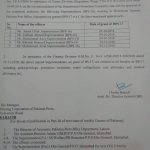 Kia In ka ad hoc relief allowance 2010 bhi bs-16 k mitabiq ho ga ya bs-17 ki minimum pay k mutabik calculate ho ga. Kun key 2013 main jari Hong Waly clarification letter k teht yeh allowance up gradation per next stage per dia Jana tha. it is pertinent to mention here that the post of Assistant BS-14 to BS-16 has bee upgraded but the post of stenographer BS-14 has not upgraded as they have same seniority for promotion quota 65:35. How is it possible ? Dear Safdar I think the clarification of the same will be issued soon. I am serving as Assistant Weaving Master (BS-16) at Govt. Weaving & Finishing Institute, Shahdara, Lahore. The post of Assistant Weaving Master fall in Supervisory staff. So I am eligible for BS-17 or not. Dear Muhammad Waqas, the clarification of the same is not yet issued. As soon as the same is clarified as I ll share. Dear is this apply to computer officers working in BS-16 because etc... covers the whole. AoA, Kindly clear that is this notification applicable for Universities of Punjab? because after 18th amendment Universities are now under the Punjab Govt. Dear SHAHZAD RAFIQ it should be so but I think the Universities will issue their own Notifications. But Universities still not received this notification, so they will not able to opt it, who will send it to the all universities. Dear Sarfraz is Notification main PA ka zikar nahin hai so not confirm. Mahem in this notification ,mention, store officer not steno officer please correct it in your sumary thanks. Thanks Dear ABDUL RAOOF KHURAM for the mistake you pointed out. I ll correct the same. Dear Shumaila, jo accounts officer BS 16 k hain lakin special pay Rs 100 nai ly rhy....kya wo b scale 17 pe upgrade huy hain ? Dear Azhar Majeed is Notification main to yej lukha hy jo special pay lay rahay hain unhi ko BPS-17 milay ga.
After promoting from BS-16 to BS-17, 50% and 15% allowances are less than the initial pay scales of BS-17 as per pay scales 2010. Dear Anwar you are eligible for the same but i don't know why the accounts office do not do so. Punjab Govt has already clarified the same but still no clarification from the FG. I am drawing 50% AA 2010 at the rate of Rs. 3410/- and 15% ARA 2011 at the rate of Rs. 1080/- per month. After promoting to BS-17, the 50% AA 2010 is Rs. 4950/- and 15% ARA 2011 is Rs. 1478/-. Kindly guide me that which amount can I draw? Dear Ghani u r eligible for the new rates according to the initial of BPS-17. What about Accountant (BS-16) working in Punjab Government? Are they included in this category? Dear Najib ul Rehman malik they are not mentioned in this Notification and I think their category must be included in this. Does this notification apply to those who are accounts ofiofficer BS 16 but not taking special allowance of Rs 100 ? Dear Azhar Notification main to yahi mention hay. Dear Muhammad Shahbaz there is no clarification of permanent or contract. I think it must be for all. kindly final provide information regarding upgradation of the post of assistant which is still pending bs 16, from apcca, we give information from him about this,they tell us that notification will announced within 2 or 3 dayz but after one week we still wait notification, i also submitted that Mr. hamza shahbaz sharif meet our appca provincial president last week. 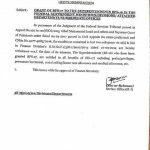 I have a problem for sanction of pension case from District Accounts Office Attock. If you have solution please reply me. Dear Muhammad Asghar plz email me all details I ll try to see the matter. Kya Data Processing Officer BPS-16 k liye bhi hai ???? Dear Abdul Basit they are not eligible for this grant of BPS-17. Post of Steno officer upgraded? Steno officer means private secretary or something else? Explain please. Dear Waheed, I am not confirm. 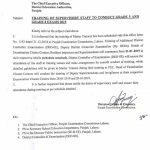 There must be issue the Notification of redesignation of Steno Officer. 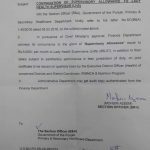 How the pay will be fixed from BS-16 to BS-17 as per notification regarding upgradation of Superintendents? Dear Abrar The pay will be fixed at next above in BPS-17 and there will be no Medical Allowance & HRA of the BPS-17, they will get these allowances of BPS-16. The Punjab Govt. is not giving the Allowances of BS-17 after upgradation. As per notification, the House Rent and Medical Allowance are for BS-16. How the pay will be fixed?